Vision screenings and eye exams are critical to maintaining eye health. 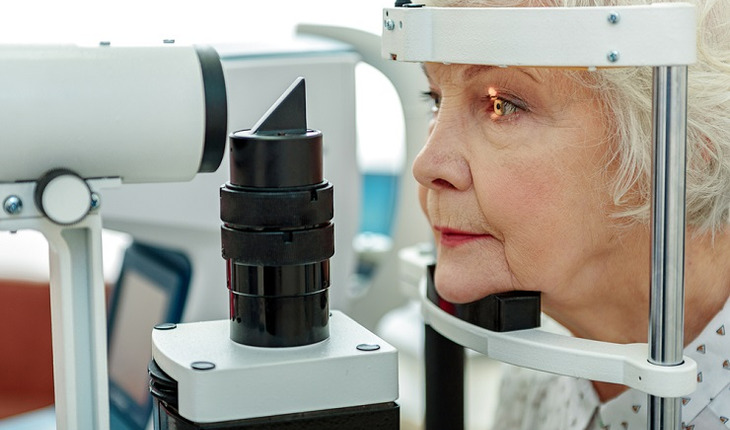 Comprehensive dilated eye exams for adults can help detect glaucoma, macular degeneration and other serious eye diseases that can lead to blindness. Vision screenings can help detect problems, such as amblyopia, also known as lazy eye, in children. If you notice blurry spots, blurred vision, halos surrounding lights, eyes that itch or burn, black spots or “floaters,” double vision, tearing or watering eyes, or if you find yourself squinting or having trouble reading or watching television, it’s time to make an appointment. An eye doctor should be made aware of any gradual changes in your vision so the necessary action can be taken to maintain eye health. Seek urgent care if you experience sudden and/or severe eye pain, sudden loss of vision in one or both eyes, light flashes, or if your eyes turn bright red. Any of these could indicate a severe problem and should be addressed immediately. Tinted glasses will not necessarily protect your eyes from harmful UV rays. It is important to get good quality eyewear that provides both UVA and UVB coverage to protect your eyes properly. Give your eyes a rest from the effects of digital eyestrain. This type of eye strain—also known as computer vision syndrome—doesn’t permanently damage eyesight, but symptoms could include burning or tired eyes, headaches, neck pain, fatigue, blurred or double vision. To rest your eyes, it’s good to look up from your work every 20 minutes, focus on an object 20 feet away for 20 seconds (the 20-20-20 rule).